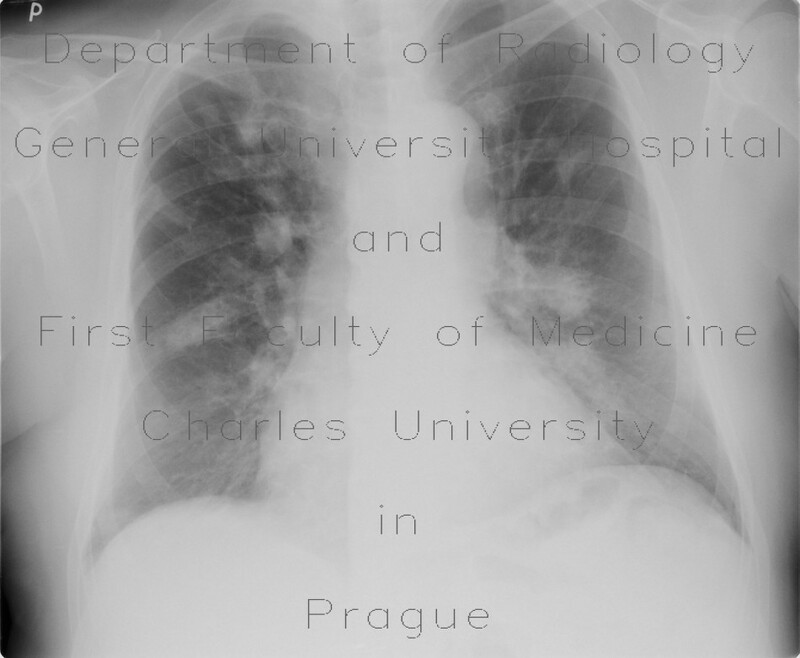 Chest radiographs show multiple non-uniform masses with shaggy borders in both lung wings. CT of thorax confirms multiple dense infiltrates that spread mainly around bronchovascular bundles, some are surrounded by a rim of ground-glass opacity (so-called halo sign). One mass is cavitating. Bilateral pleural effusion.